One of my favorite times of the day is when we have “Bible Time” right before my boys go to bed. I have read kid-friendly Bible devotions all their lives and now it has become a part of our daily routine. It’s such a blessing. I recently started reading The Jesus Storybook Bible to them. Now, I’m not one to do book reviews, but if you have elementary-age kids, you need to get this book. It’s so easy to understand, the illustrations are amazing, and it ties perfectly in with topics and Bible stories we’ve already been studying. Seriously, go get this book and read it to your kids! Ok, so, last night we were reading about Abraham and how God asked him to sacrifice his son, Isaac. It’s a story I have read many times, but somehow when you retell it to your kids on a level they understand you suddenly begin to look at it with new eyes. Has that happened to you? Suddenly, you discover something you never thought of before. Such was the case with Abraham and Isaac. 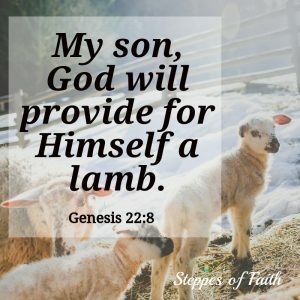 In Old Testament times, God loved His children so much He allowed people to place their sins on a perfect lamb so that the lamb would die instead of them (which is why Jesus became the Lamb of God). This is what we find Abraham and Isaac doing one particular morning. In Genesis 22, Abraham and Isaac set off to climb a nearby mountain with a couple of servants to offer a sacrifice to God for their sins. The difference this time is that God wanted to test Abraham. God secretly commanded Abraham to offer Isaac as the sacrifice instead of a lamb. Abraham led this week-long trip knowing that he must soon kill his son to prove his obedience to God. If you’re like me, and I’m sure you are, this is an extraordinary command to give a parent. 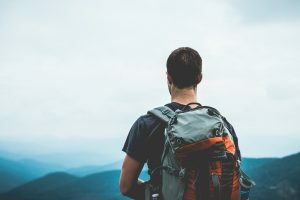 It’s hard to imagine the emotions and thoughts Abraham must have silently endured as they trekked to the mountain. But Abraham completely loved and trusted God, so he did as he was told to do. As a parent who adores her kids, I can barely imagine the pain Abraham was feeling. 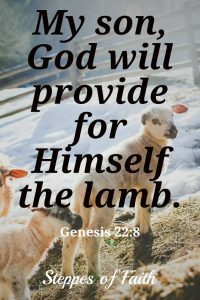 He had to look his son in the eye and say, “My son, God will provide for Himself the lamb for a burnt offering,” knowing what was about to happen (v.8). Can’t you just feel Abraham’s sadness? After my boys and I finished reading the part how God spared Isaac’s life because Abraham had proven his obedience (whew! ), it occurred to me that Isaac and Jesus are a lot alike. We could even say that the story of Isaac’s brush with death foreshadows what Jesus would go through on His way to Calvary. Here’s what I mean. Isaac carried the wood for the altar up the hill. Jesus carried a wooden cross up another hill named Golgotha. Isaac was bound to the wood on the altar. 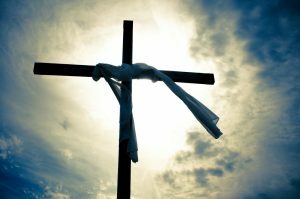 Jesus was nailed to the wooden cross, which was an altar. 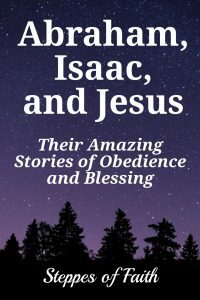 Isaac was obedient to his father. He didn’t resist. Likewise, Jesus didn’t resist His Father even as He pleaded to be spared as He prayed in the garden of Gethsemane. Isaac didn’t resist because he completely trusted his father. He knew his father was good, so there was nothing to worry about. Jesus trusted His Father the same way. Here’s where Isaac and Jesus are different. Though both were led like lambs to be sacrificed, God spared Abraham’s son, but He didn’t spare His own. Yet, God did not spare His only son from being sacrificed. 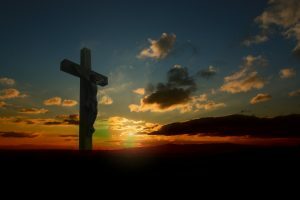 He might have rather spared Jesus from the torture of the cross, but the penalty of sin was too great for a human to pay and His love for us is even greater. Someone had to pay the penalty for sin. Since sin came into the world because of a man, only a man could pay the price. Everything that Abraham, Isaac, and Jesus did came from their obedience and trust in the Father. And, when they obeyed, they were blessed. Not only that, their blessing was multiplied. The result of Abraham’s obedience was blessing upon blessing for his descendants which were multiplied “as the stars of the heaven and as the sand on the seashore (Genesis 2:17).” Isaac’s blessing was his life was saved. 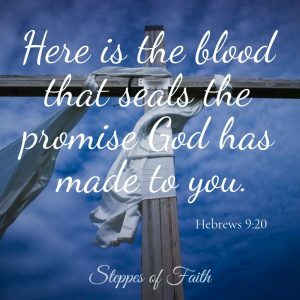 And, we receive Jesus’ blessing when we acknowledge His atoning work on the cross, repent from our sins, and receive His free gift of salvation. How much are you willing to trust God? How far would you go? Thankfully, you don’t have to sacrifice your child to prove your obedience like Abraham did. But, you can show your trust in God with the choices you make, the words you use, allowing Him to be your strength when you feel weak or confused, and remembering that He works all things for our good (Romans 8:28) no matter how bad things get. 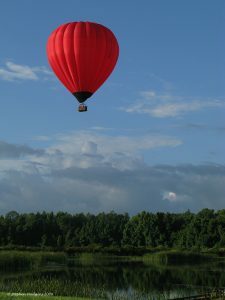 Only obedience to God and fully trusting Him will result in His ultimate blessings for you. It’s hard to imagine what Abraham went through to prove his faith in God. How has God challenged your faith? What were the blessings you received when you trusted Him? Please share your stories with us. Let’s encourage each other as we learn to trust God more every day. 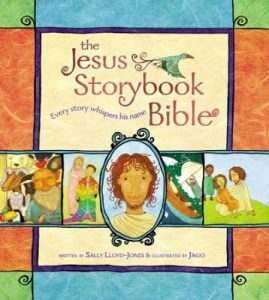 The Jesus Storybook Bible invites children and their parents to discover for themselves that Jesus is at the center of God’s great story of salvation. With the help of beautiful illustrations, The Jesus Storybook Bible tells the story of Jesus found within all the stories in the Bible. 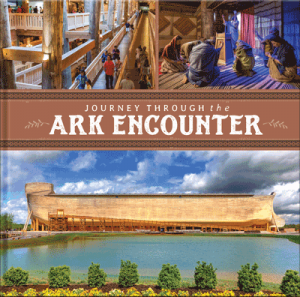 From Noah, to Moses, to the great King David, every story points to Jesus. He is the puzzle piece that makes all the other pieces fit together. 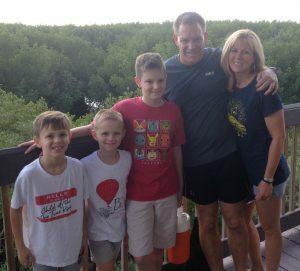 As you read through the Old and New Testaments, you and your children will pick up the clues and piece together the puzzle that is God’s amazing love and redemption of His people.